Please tell us your Company Name - Phone Number & Which Country you are in. 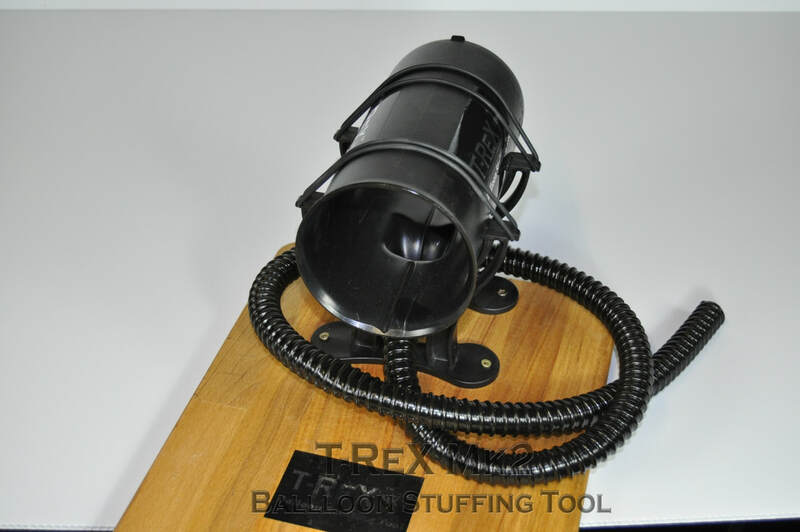 The cost of the T-Rex MK2 Balloon Stuffing tool is £99 plus postage. correctly it will make you more money in your business than any other product you will ever buy. Please WATCH THE VIDEOS to be sure you know what is included and how this innovative tool works ! Black Carry Bag to keep everything together. 1 Sample pack of Jumbo Kwik Clips balloon clips. Final note: Some people may think that £99 is expensive for this product, to those people we say, not a problem and we thank you for taking the time to consider this product. plastics, it is strong, portable, will last for years and will make you thousands of pounds in your business, we have to ship it from our factory in China to the U.K, add V.A.T and then the stockist in the U.K has to make money for stocking and supplying locally. There is nothing like this product anywhere in the world, please only enquire if you are genuinely interested and you MUST give us your name contact phone number and business name when emailing us to either order or enquire. 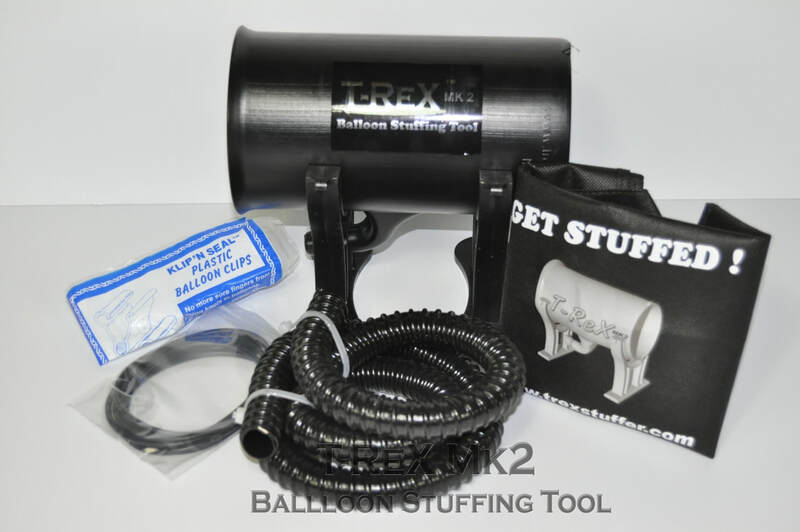 1 X Black T-ReX MK2 Balloon Stuffing Tool to stuff 5" balloons and other latex balloons into 18" stuffing balloons and 3ft and 5ft latex balloons. To create Exploding balloons, column toppers and cute stuffed animals inside balloons. 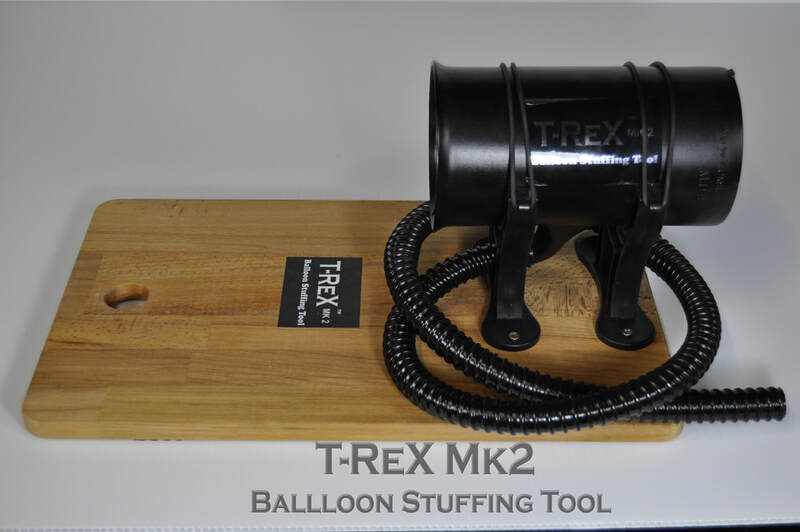 The T-ReX MK2 Balloon Stuffing Tool is portable, take it on jobs with you, it takes up little room on your balloon counter, it is strong, will last for years and is used by industry professionals worldwide. Mount your T-ReX mk2 Balloon Stuffing Tool to a board or benchtop to give it stability, it must be secured before using, we mount ours to a chopping board and then clamp or screw the chopping board to a workbench, when done, we put the T-ReX away until the next time we wish to make $100 from selling an exploding balloon or baby reveal. This tool has made us more money than any other piece of equipment we have ever purchased, ours is 6 years old and still going strong, we not only invented this tool, but we use it every week in our own business to make money. 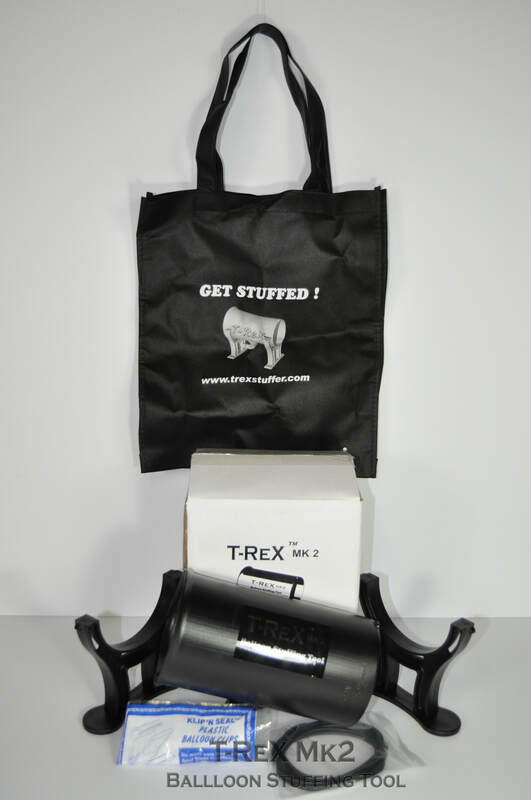 We do not own any other stuffing machine.